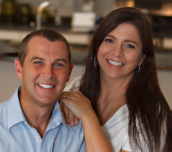 Alex and Victoria are a husband and wife Real Estate Team who provide a unique advantage to any buyer or seller. When working with us, you have two agents working on your behalf at all times! We have a territory from the Triad to the Triangle! We are The Power of Two Working for You!